Microsoft hopes to take a dedicated AI chip that it’s building into the next generation of its HoloLens augmented-reality headset and push it into other hardware, presumably PCs and devices built by other countries. Microsoft disclosed that it was building the new AI chipset in July, though it was unclear what functions the chipset would handle. Microsoft said then that the more traditional approaches used in the original HoloLens and other devices enhanced existing cloud computing fabrics, but that it was seeking to develop a more independent chip that could be used either online or offline. Why this matters: So far, Amazon, Apple, and Google see AI as an important piece of the puzzle to power your phones and home devices, but Microsoft obviously places importance on smartening your PC, too. With Windows phones essentially dead, it’s still up to Microsoft to help promote hardware partners like HP and Dell. Smarter PCs will help. 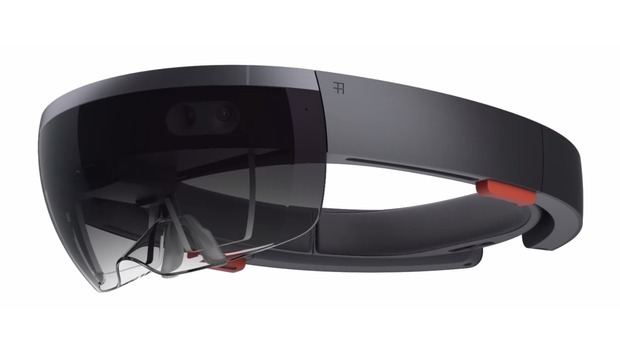 Both the expansion of markets as well as the next-generation AI chip signal that the HoloLens is far from dead, though it may also be used as a test bed of sorts for AI functionality in other hardware. That has traditionally meant the PC, of course, which was the first home for Cortana, Microsoft’s digital assistant. “We have to continue to find those pieces of silicon, those chipsets that have to be developed, to bring those sensors to life, to connect people to each other, and with their products,” Panay added, elaborating on the company’s plans to bring AI silicon to other devices. In the interview, Panay confirmed that the company not only has a dedicated, internal silicon design team, but also works with chip makers and other partners in joint development. The ASIC inside the Surface Pen, for example, was designed internally, he said. Granted, Microsoft also hopes to bring Cortana and AI to smart speakers like the Harman Kardon Invoke, competing with the Alexa-powered Echo Dots, Google Homes, and more. It’s unlikely that Microsoft will stop there. Amazon recently launched the Echo Show, an Alexa-powered smart device that includes a small LCD. Two key Microsoft technologies include Windows Hello and Skype. Take the machine vision capabilities of the HoloLens, pair them with a small speaker with a camera and LCD screen, and what have you got? Something that might be quite interesting.